Andrea's World Reviews: King Kush Sack Review & GIVEAWAY!! Have you ever seen a new version of a classic product, and it makes you feel nostalgic? It brings back all the good and happy memories you have from that time and almost makes you feel like you were right back in that place and time. Sometimes though, do you ever look at the new version and think, "Man, this is a rip off. The old ones were way better". I have done that time and again. It's really sad to see how the quality of an "improved" version can be so much lower than the original. That is pretty much the antithesis of the feeling you will have when you try a Kush Sack. I just got a 6ft King Kush and a matching Kush Stool(Chocolate Brown Micro Velvet), and let me tell you, it is HEAVEN. 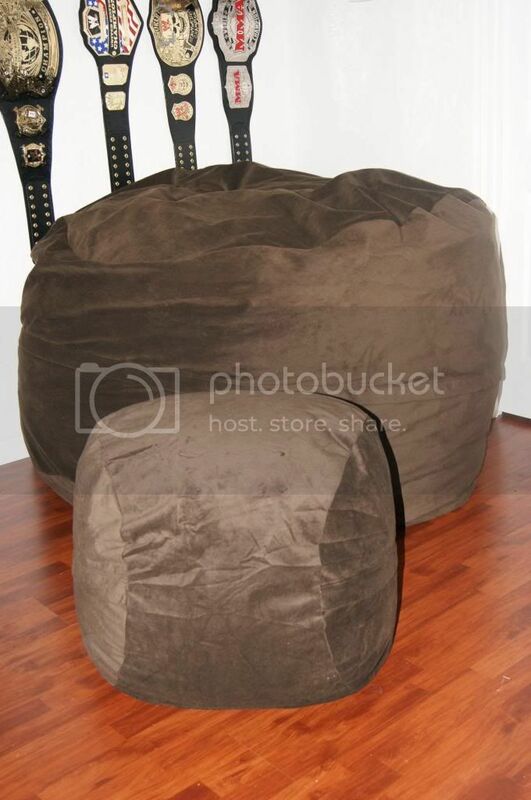 This is definitely not like those old school Bean bags of the past. 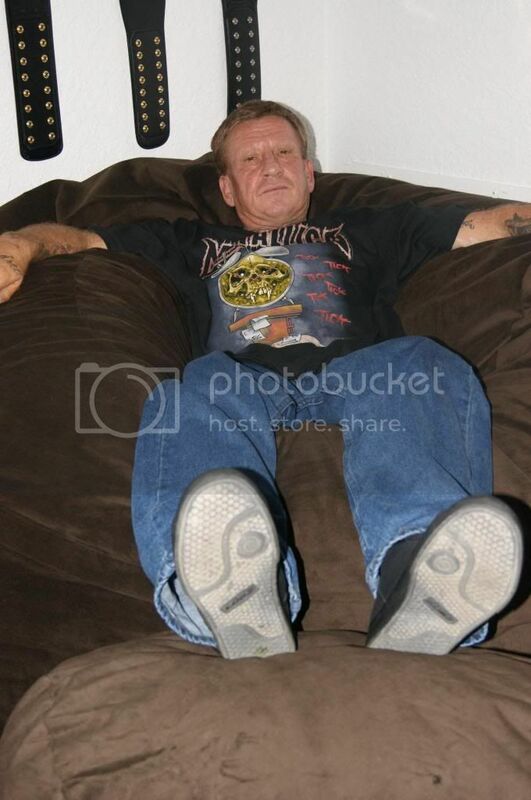 In fact, although the Kush Sack is kindred to the Bean Bag, it is very much superior. Not only does the massive size play a huge role in outweighing(pun intended), the old school bean bags that used to be so desirable, but he fact that it contains no actual "beans" or little pellets of anything is certainly a factor. It is stuffed with tons of super soft and supportive shredded memory foam. It is like sitting(or laying) on a cloud. You feel completely relaxed and weightless. It is like floating on air, only you know you are also being supported with just the right amount of firmness. It amazing. My husband and I both have really bad back pain most of the time(hi even worse than me), and this was so comfortable. Not only did it not cause any pain like sitting on our couch always does, it actually helped to take away a good bit of the pain we already had, because we were able to sit and relax in supported comfort. And while we are speaking of comfort, I must mention the luxurious feel of the cover is so blissful. 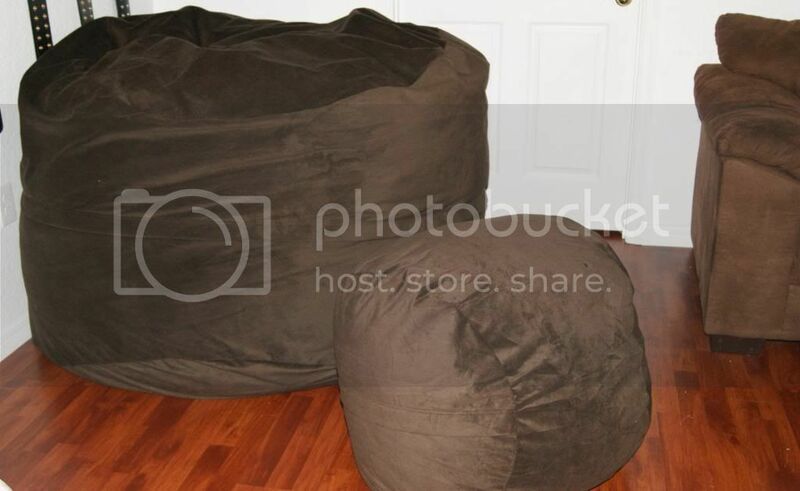 I remember that bean bags used to have a sticky, rigid, plasticy/pleather cover and it was pretty horrible. At best they had a thick polyester type ugly and uncomfortable fabric. This is like trading in the bone for a hot fresh, juicy steak, such a distinct difference. I love that Kush Sacks come in 3 awesome sizes(6ft King Kush, 5ft Cuddle Queen and 3ft Little Kush) to fit every need. Plus they have the fabulous Kush Stool(2ft) as well to perfectly compliment either Sack(5 of 6ft) for the ultimate lounging experience. My hubby LOVES our new King Kush, and has tried to claim it for himself claiming that "King" in the title means it is for the man of the house. I am sure he would say that he wants it all to himself, but when his highness's little princess comes around, his tune changes really fast. But if we are talking about the REAL king of this castle, then we could still use the same name, but would have to add a Jr.
My son will be 6 in a couple months, and yet he is somehow in charge. He is Autistic, so he does have special needs. That along with the fact that he was my first child, have really made me cater to his every wish, probably even more than I should. He LOVES things that he can climb on, bounce on and lay on, so the King Kush was awesome for him. When he first saw it he said "Big Bean Bag!" Then he saw the stool and said "Little Bean bag" "Big and Little, they are the same". He hopped right up and said. 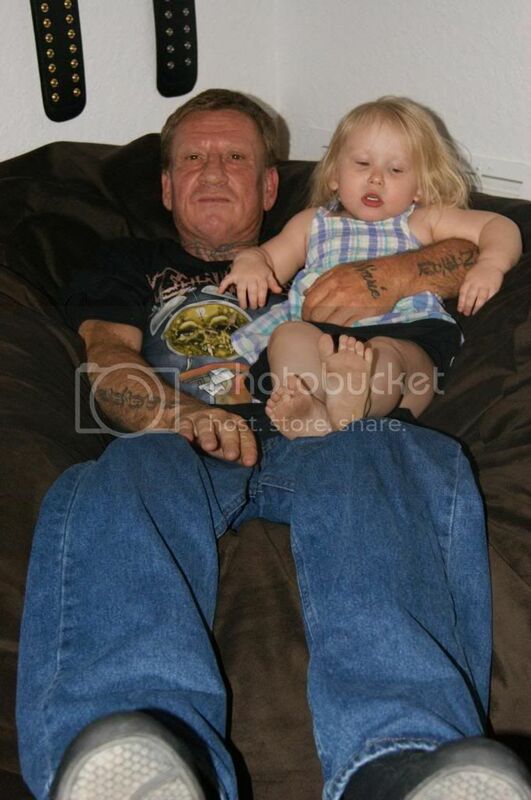 "Bobby's Big Bean Bag". Both the kids pretty much run the house, but my son is the king and my daughter follows in his footsteps. She wants to be just like her big brother. So of course wherever he is, she is not far away. She was trying to copy everything he did. 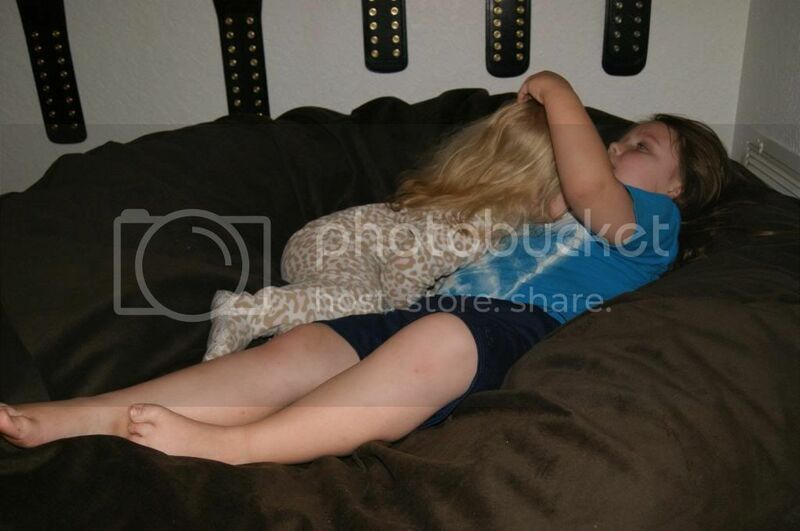 And she kept trying to climb on him and give him kisses. They both love it so much, and they both love to climb and play on the stool. They even try to move(push) it all around the house. 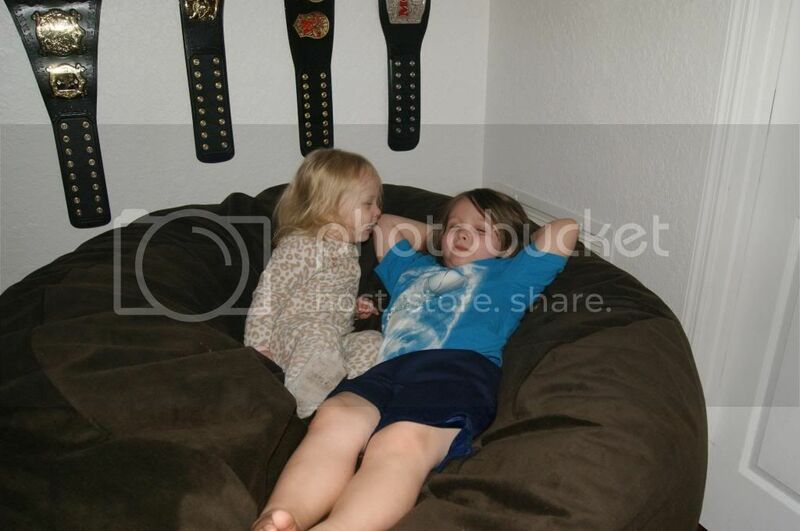 I love that the huge size makes it great for Both the kiddos to sit with mommy or daddy(or both) at once. Great for family bonding, story or (educational) TV time. Not to mention great hubby and wife snuggle time. It is just so plush and cozy. 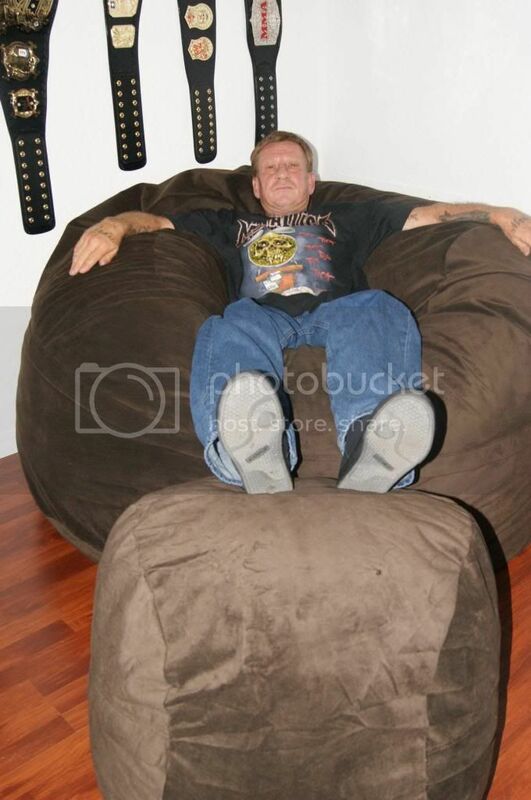 I really love that I get all the amazing nostalgia about the days when my big brother(my idol) had one, but I get a product that is infinitely better than those small, uncomfortable, hot, sticky, messy(when they would tear VERY easily and spill everywhere) old school bean bags were. I adore the King Kush, and that Kush stool just really puts it over the top and sets it apart from some other large bag companies. Another thing that set Kush Sack apart from competitors is their unbelievable prices. I cannot believe how low they are and that the product price also includes FREE shipping. Plus your sack is guaranteed to be delivered(not just shipped) within 10 days. That is pretty impressive. I have items take over a week to even be shipped. The customer service is super friendly and helpful. Everything about Kush Sack is superior. I would recommend Kush sack to anyone. And with mother's Day and (especially) Father's Day upcoming, Kush Sack would make a phenomenal gift. In fact you should get one even for no specific reason, and, if you have the space, you should get one for the whole family. That is what I plan to do. To get your collection started, Kush Sack and I are giving you all the chance to win your choice of a King Kush or a Cuddle Queen in your choice of covers AND matching Kush Stool. RV of $285-$335! There will only be one winner, but it has to be someone, why not you? Enter below for your chance. Good luck! I love how big and comfy it looks!!! I love the size! It is big enough for an adult. It looks extra comfy too! That looks sooo comfy, my boys would absolutely love it. I love the sound of the velvety touch I bet you can just curl up in it. I love this giant comfy sack!! It looks so comfy! It looks very comfortable and durable! Oh my, that looks extremely comfortable. I'm sure my kids would love it and would enjoy posting an online video of me attempting to extract myself from it if we had one. We are replacing our living room furniture with this style of furniture. It is so comfy we could not resist it. Thank you for the giveaway, would love to win as it would definitely help! This is really nice, I would love to have one! Love that it helps with back pain! i love that its soooo big! I love that it is portable! I could even take it camping! Memory foam chunks sound like an awesome filler material. I bet that thing is super comfortable! It's big and it looks comfortable. I love that it's so big,comfy and has a foot stool. I love the high quality fabrics that kush sacks are made of. Looks like it would be a comfortable piece to snuggle and take a nap in. I love the feel of velvet and the ease of Microfiber in the Queen size Kush Sack. I like that it's big and comfy.